This Certification Study Kit Bundle provides you with the course materials you need to prepare for the exams required to complete the Microservice Architect Certification. An eLearning version of this Certification Study Kit Bundle is also available for a base price of $477.60 or as an add-on to the printed Study Kit Bundle for only $237.60 USD. 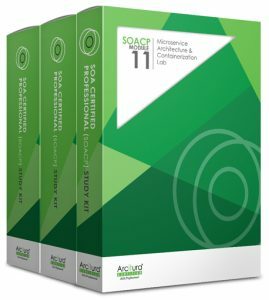 Visit the Microservice Architect Certification eLearning Study Kit Bundle (Partial) page for details.